The special contributions of both the National Directors/Board Members and the Federation’s Members are essential ingredients to make a "Working Partnership" of the USJJF Leadership Team. 2. 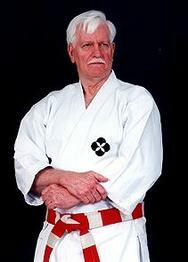 Knowledge of traditions & ideals of various Ju-Jitsu styles and systems. 3. Legal foundation of USJJF, knowledge, continuity, & identification of needs & interests of people in the martial arts community and the general public. 4. Technical skill in Ju-Jitsu or related arts. 5. Awareness of potential financial support from the amateur sports and/or corporate community based on interests and concerns. 6. Ability to discern interest and needs of Ju-Jitsuka & knowledge of resources which can increase the scope of services to meet the needs. 7. Credibility & confidence to the USJJF & its work in the martial arts community. 8. Awareness of current & future changes in Ju-Jitsu styles and systems, ability to make decisions which are responsive to these conditions. A "Working Partnership" of the USJJF National Directors / Board Members and its Members will thrive on open & honest communications, a shared sense of responsibility, and a climate of mutual support. "THE MISSION OF THE UNITED STATES JU-JITSU FEDERATION IS TO UNIFY AMERICAN JU-JITSUKA WITH A FOUNDATION OF MUTUAL RESPECT FOR ALL STYLES OR SYSTEMS OF JU-JITSU AND TO PROVIDE SERVICES AND GUIDANCE TO FOSTER TECHNICAL EXCELLENCE, FELLOWSHIP AND HUMAN CHARACTER DEVELOPMENT." Recruit and develop volunteer and paid personnel to assure growth and productivity in the achievement of USJJF's program goals. Institute and maintain a corporate planning and financial development process for the achievement of USJJF's program goals. 3. National & International Ju-Jitsu Rank Certification for the USJJF Membership. 4. Written US Ju-Jitsu Rank Requirements available to all USJJF Members. 5. A "Non-Political" Promotion System for all US Ju-Jitsuka. 6. High Quality Training Materials (including Posters, Videos & Books) in Ju-Jitsu. 12. The development of the USA National Ju-Jitsu Institute and National Ju-Jitsu Training Centers for expert training in both Traditional and Competitive Ju-Jitsu. 13. Local, Regional, National and International Competition Programs and Events for all members of USJJF. 14. International Exchange Programs and Services with other National Ju-Jitsu Federations of the WJJC. Policies are principles, selected from available alternatives, which provide a course of action. They are stated broadly enough to encompass the full range of anticipated actions and narrowly enough to provide definite guidance. They are guides to the National Directors / Board Members who set specific rules and regulations to provide direction in the development of American Ju-Jitsu and the USJJF. 1. POLICY DETERMINATION – POLICY DETERMINATION – is the responsibility of the NATIONAL DIRECTORS / BOARD MEMBERS as defined in the Bylaws of the United States Ju-Jitsu Federation. This responsibility is derived from their legal status and their relationship to both the martial arts community and the general public. Their action establishes policy. 3. POLICY EXECUTION – is the responsibility of the OFFICERS and the – is the responsibility of the OFFICERS and the – is the responsibility of the OFFICERS and the REGIONAL LEADERS in the USJJF Regional Ju-Jitsu Organizations. Once policies are established, it is the task of the Regional Ju-Jitsu Leaders to see that the policies are carried out. USJJF Members may participate in this, but the Regional Leaders are ultimately responsible to see that policies are placed into action, regardless of who engages in the tasks involved.